For Natasha and Joel's session, we did exactly the type of thing they would have done together on that day, except I happened to be there with my camera. Natasha and Joel are connected on some other level, something so very refreshing to capture. Their comfort with each other surpassed any shyness they could have had in front of a lens; it was as if I wasn't there. 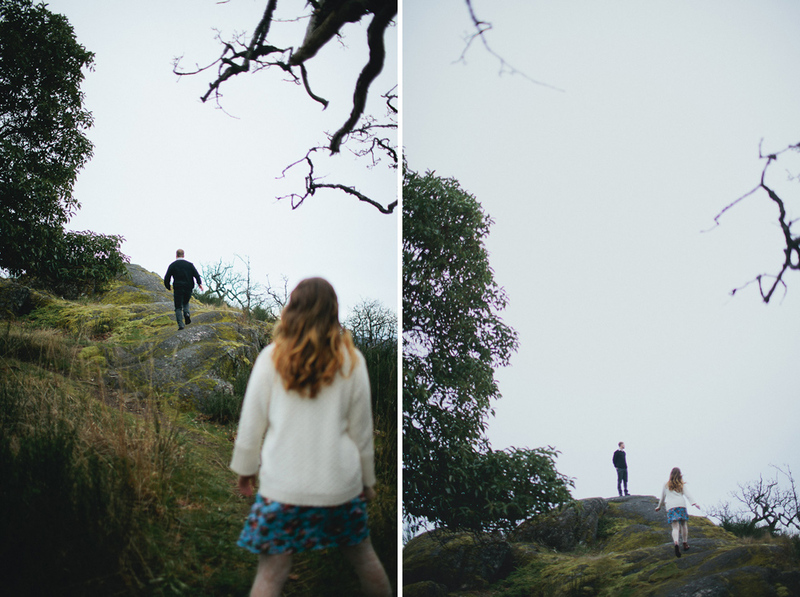 It was time for a picnic on Christmas Hill; they held hands, adventured through pathways laden with Garry Oak and rocks covered in moss, climbed trees and exchanged affectionate glances and gestures all the time. They stood in front of the world. The adventure doesn't end here. These two get married at the end of April. Subscribe to my facebook feed to see how their story evolves. If part of you felt something after looking at these pictures, hit the "like" button below to share the experience with your friends.